Sometimes you accidentally, unconsciously or someone else deliberately deletes your important and valuable data which can be documents, videos or pictures. Or the data may be corrupt due to some creepy software. The best way to avoid such kind of distressing moments is to regularly backup your data, but in case you don’t. Then what to do? How to recover deleted content and lost data? Don’t panic, the data that is recently wipe out (permanently deleted) from the recycle bin can be still recoverable either it is from Hard Drive, Flash Drive, or SD card by using data recovery softwares. But here is the confusion which one we should use? Don’t you worry I compile the list of top 10 best data recovery softwares for you to recover lost files for sure. How to Recover Deleted Files and Data? As I described above, there are bunch of premium and free data recovery softwares available online that can be helpful for recovering your lost data. But keep in mind one thing, you can recover lost files if you have not overwritten any data on the deleted files location. When you overwrite other data, the deleted files are impossible to recover. So, you must use recovery tools as soon as your files deleted by mistake or else. Want to know more? Visit this link. Recuva is the best file recovery software that’s why I placed it at number one. Developed by the same developers who created the famous “CCleaner”. Recuva superior file recovery feature recovers Pictures, Music, Documents, Videos, Compressed and even emails, yeah you read it right. Recuva is simple to use, just some clicks like select file type then select the location (media card, iPod, documents, recycle bin, and hard drive) and click on start. Moreover, if you did not find your files on the normal scanning then just enable the “Deep Scan” option. Its file scanning speed is good. Sometimes you delete the files and wants that nobody can recover it, Recuva “Secure Overwrite” features can do it for you by using the advanced deletion technique. It is compatible with Windows XP, 7, Vista, 8, 8.1 and Windows 10. Recuva Professional version offers advanced file recovery, virtual hard drive support, automatic updates and premium support in just $24.95. The next one is Stellar Phoenix Windows Data Recovery software that is a rescuer to find your precious and valuable files such as music, videos, documents, photos and other files that are deleted accidentally. Now a glance at its primary features it can scan drives larger than 2TB. It can also recover your data deleted from smartphone internal storage and external storage (SD card). It supports more than 200 file types and allows compressing after recovery of files to save the storage. Moreover, after scanning you can search your lost files under three categories Classic Tree, File Type List and Filtered Tree. Classic Tree: Under Classic Tree, it shows all the deleted and undeleted files and folders. File Type List: As the name signifies it shows your data into various categories like application, archive, audio, database, documents, graphics and photos, mails and internet, miscellaneous, text and video. 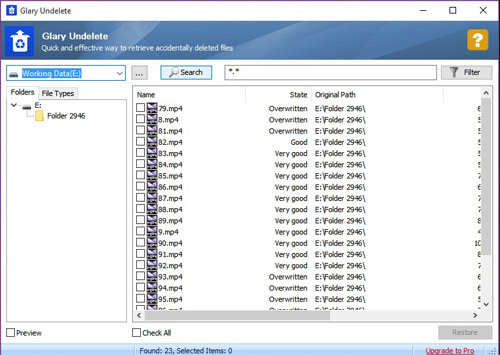 Every category includes different file types like .dll, .exe, .msi, .mp3, .asf .etc that makes easy to find the file and save your time. Under Filtered Tree: You can search your multiple files by typing their extensions. It works perfectly with Windows XP, 7, Vista, 8, 8.1 and 10. Puran can recover files from any storage medium like Hard Drive, Flash Drive, Memory Card, Cds, DVDs and mobile phones. It supports various file systems like FAT 12/16/32 and NTFS. It is available in almost 10 languages such as Hindi, English, French, Spanish, Portuguese etc. Puran also has a Portable version for 32-bit and 64-bit Windows. You can select your file type before scanning to save your time. Hundreds of formats are included, moreover, in Puran file Recovery tool you can edit the scan list, and it means you can add, remove and edit the already added extensions. If you did not find your file, don’t you worry try a different scan option like deep scan, full scan. It is compatible with Windows XP, 2003, Vista, 2008, 7, 8, 10 and very supportive with 64-bit versions. Another one of the best recovery software is Pandora Recovery. It can recover all the files like songs, movies, pictures etc. from NTFS and FAT format volumes. After scanning, if you don’t find your deleted file you can search it by typing following type of information full or partial name of the file, file size, file creation date etc. 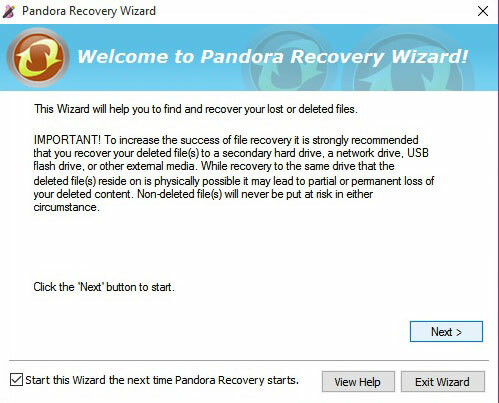 After installation, open it then a Pandora Recovery Wizard will show up and make it easy to recover your data. Its surface (cluster) scanning will scan your file in depth. It will also give the percentage of the successful recovery of a file. The higher the percentage, the lower the chances of recovery. Pandora Mobile Recovery: It is a portable version of Pandora Recovery software. It requires no installation, you can run it from a flash drive as well. When you install software, it takes up some space and there is a chance that it will overwrite on some of the data. So, as portable version requires no installation so no deleted data got damage that you want to recover. Pandora Recovery software is compatible with Windows 2000, XP, 2003 server, Vista and also it works for me on Windows 7, 8 and 10. 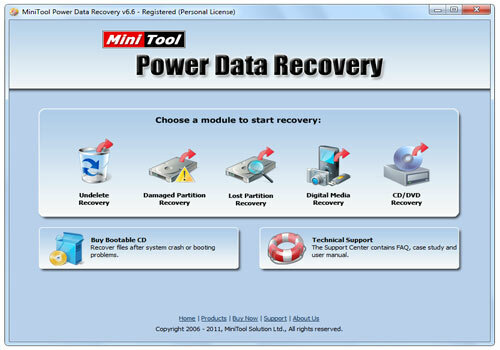 MiniTool Solution Ltd develops Power data recovery. It has five different modules to recover your precious files. 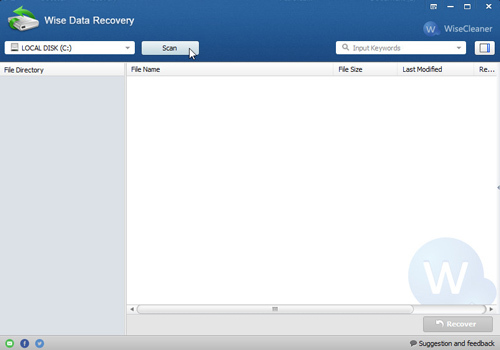 Undelete Recovery: This module used to recover the deleted files and folders. It supports FAT12, FAT16, FAT32, VFAT, and NTFS file systems. You can recover data from flash drive, memory card and hard drive. 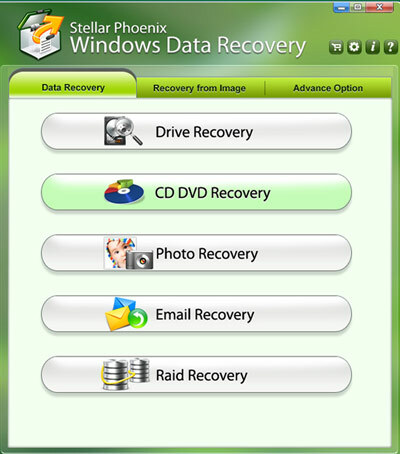 CD/DVD Recovery: This module is used to recover files from damaged, scratched or defective CD and DVD disks. It is easy to recover from CD/DVD just click on open and then hit the full scan button. Digital Media Recovery: This module helps in to recover the digital media files like digital camera, iPod, mp3 player, etc. This module supports a large number of file formats and matches them to the lost files extensions to recover. Damaged Partition Recovery: This module is used when you don’t find your files by using Undelete Recovery option. Chances are you will find data on this feature. Lost Partition Recovery: In simple words, we can say this is the last stage if you don’t find your data even by using damaged partition recovery then use this. Normally, data is lost when the hard drive got crashed or the partition is overwritten then you should use this. Power Data Recovery software has different versions like for PC, Windows Server users and company/business with different prices. It supports on Windows XP/Vista/7/8/8.1/10 and Windows Server OS. Glary is one more best recovery software and it is very easy to use. It is developed by the Glarysoft Ltd. 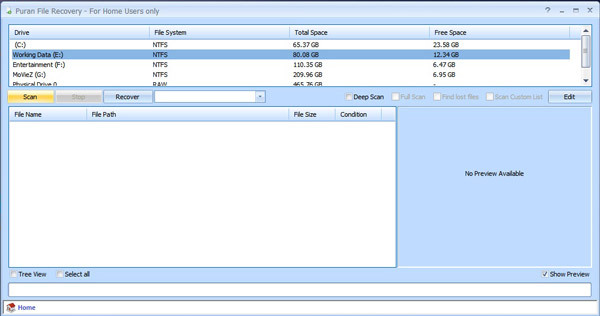 The Glary Undelete supports different file system such as NTFS, FAT, and NTFS+EFS. Its scanning process is very fast, but it has no feature of deep scanning. Similar to the above software’s, it can also recover data from the internal hard drive and almost all the removable devices. It will tell your deleted file state that the file is overwritten or not. One of its attractive features is its result showing filter. You can filter your results with respect to size, name, date, and state so that you can easily find your file that you want to recover. It classifies the results into “Folders” and “File Types” for easy access. Burn CD/ USB disk: This feature allows you to create a bootable recovery flash drives or the CD. Sometimes your operating system crashes so you can use that CD or Flash drive to get back your operating system and files. Windows Recovery: It repairs the boot or any crashes even infected by the virus or corrupted MBR, DBR, system files, and registry files also. 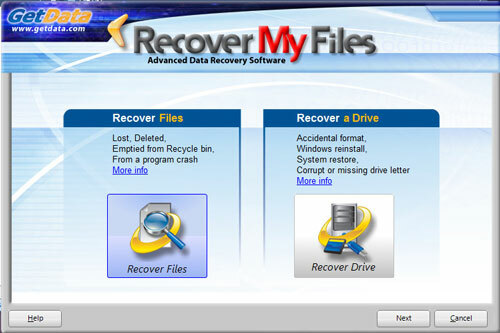 Data Recovery: This feature helps you to recover the files that you lost accidentally or by corruption. By using this, you can also retrieve the data from the removable media. Disk Image & Clone: As the name indicates, this feature allows you to backup the entire data. You can make the backup of the Entire Windows or the hard drive only and save it to external or the internal media. Password Recovery: This feature assisted you in the case when you forgot your windows password. Also, it helps you retrieve windows CD key installation. It is available in different editions such as Home Edition, Professional Edition, Server Edition and Unlimited Edition. All versions come along with different features. Their Home Edition is free. It is compatible with almost all version of windows. Recover my files can recover files from iPod, flash drive, SD Card, Compresses and any other media. In the first look, it seems like complex but it’s very easy to use. After launching it will ask about the recovery. Recover Files: Files lost due to a program crash or accidentally and permanently deleted. Recover a Drive: Drive lost due to mistakenly format, while restoration or reinstalling windows. It classifies the files into different categories like File type, Deleted, and Date. 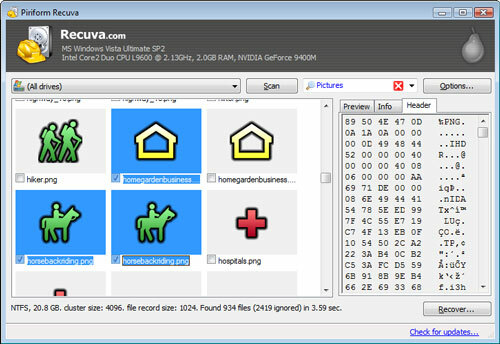 You can also get the preview of your files in the form of Hex. Display and Text. It works perfectly with NTFS (3, 4, 5) , FAT 12, FAT 16 FAT 32, exFAT, HFS, HFS+ etc. All paid versions key is valid for 2 Pcs. It is Compatible with Windows 2003, XP, Vista, 7, 8, 8.1 and 10. So at number nine is Wise Data Recovery Software. It is tiny in size. Moreover, its look is very simple. It’s scanning speed is very fast which saves your lot of time and like other software’s it also has “Preview” portion and you can easily find your files according to their types by selecting the file type. It also tells the recoverability of the file. The Wise Data recovery software has a portable version which allows you to recover lost files without the doubt of overwriting. That’s why it is suggested that run the portable version from the flash drive. It supports both x86 and x64 version of windows. It is compatible with Windows XP, 7, Vista, 8, 8.1 and 10. 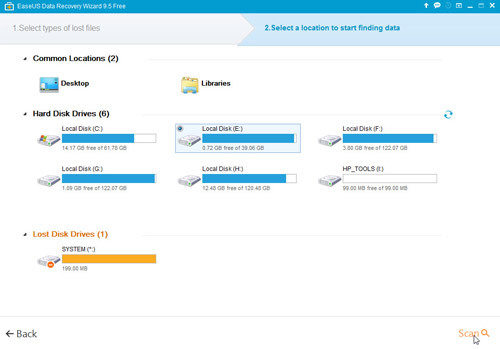 One of the major reasons to use Easeus Data Recovery is its interface is quite amazing and good looking. It is available for Windows, Android, iOS, and Mac and has various versions for all of them. It can recover audio, video, documents, compressed, pictures and even E-mails. The one of the negative point in a free version is that you can recover only 1GB data. Now let’s talk about how to use it. After installing, launch it then the wizard ask about the file type. Now select the file type or if you don’t remember the file just tick all file types and then select the location of finding. It also has “Deep Scan” option to find your files. It can recover files from almost all kinds of media. Softpedia, TopTenReviews, and CNET give good remarks about it. Easeus trusted by some of the top-notch companies such as Microsoft and IBM etc. They also offer 30 days money back Guarantee. In case of any problem you can live chat with them and you can also consult with them before purchasing. It is Compatible with all version of windows till now. Personally, I have installed and tried all of them before crafting this list of top 10 best data recovery softwares. 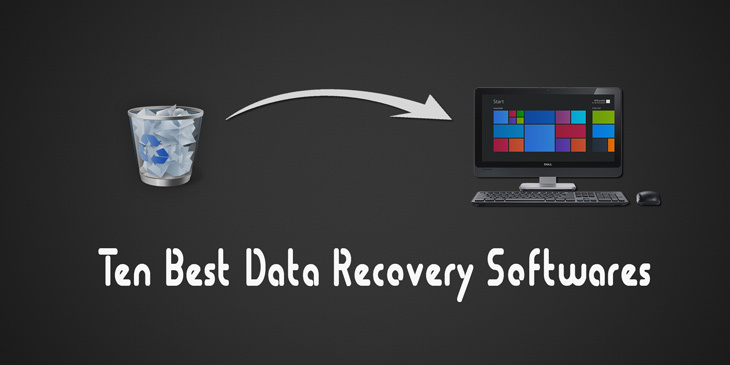 However, there are many other best recovery tools also available but I would like to recommend above mentioned softwares for recovering your lost data. I highly recommend before purchasing any data recovery software for personal or business use, please you should try the free or at least trial version of the required software. As it will help to decide whether the recovery tool satisfied you or not as well cause money saving. So, have you ever lost your important data? 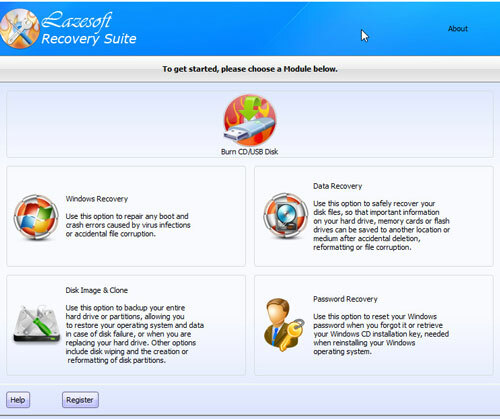 Which one recovery software and tool you use for recovering it? Have you got success? I would like to hear your opinions on data recovery softwares.